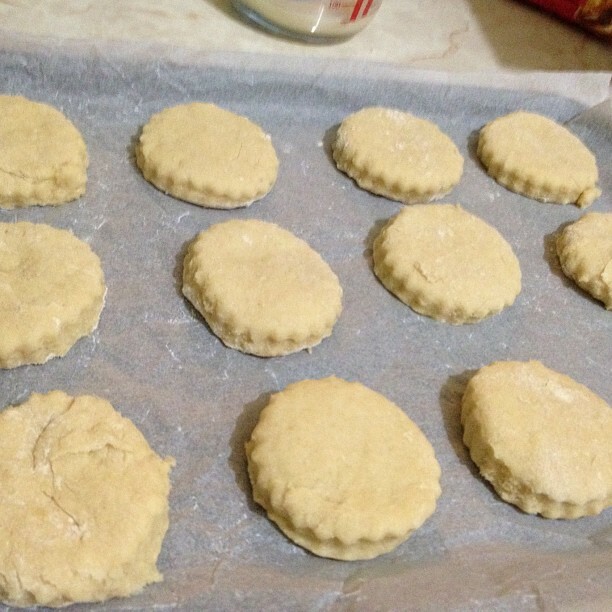 I’ve been wanting to bake scones since I saw this Gary Rhodes show on TV. He made making scones look so easy. Mind you, I’ve always believed these experienced chefs always make everything look so easy to make! So I started looking up scone recipes. I started with opening Paul Hollywood’s book. The recipe was quite interesting because it used bread flour instead of regular flour. I was a bit worried that it wouldn’t taste like the scones that I’d loved so much from The Delaunay counter. So I decided to look through Mary Berry’s Baking Bible. 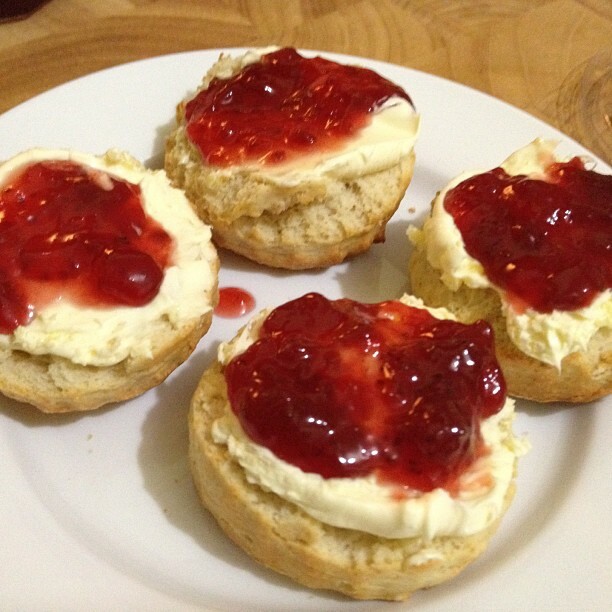 I looked at Mary’s recipe and thought this was going to taste more traditionally scone-y. Mary’s Baking Bible is lovely because the instructions are straightforward and not formidable at all. It tells you what to do and if you do it, then it’ll come out wonderful. The recipe said it would make 20 small scones and it made 21. 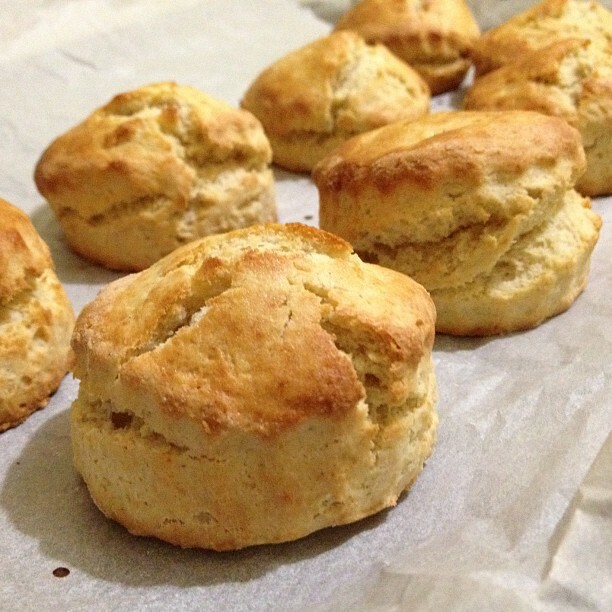 I probably made a couple of scones too thin, which made it possible to make an extra scone. When the scones came out the came out soooooo lovely and golden brown! I couldn’t not have scones, clotted cream and jam. I’d been having quite the sickly week as there is a bug making its rounds at work, so I thought I deserved a tiny bit of a treat. Because I was feeling a bit blecchy, I was worried about how the scones would turn out. It was definitely a comforting treat. The next time I do Mary’s scones, I’ll put a bit of fruit in it! Should make for lovely fruity scones!